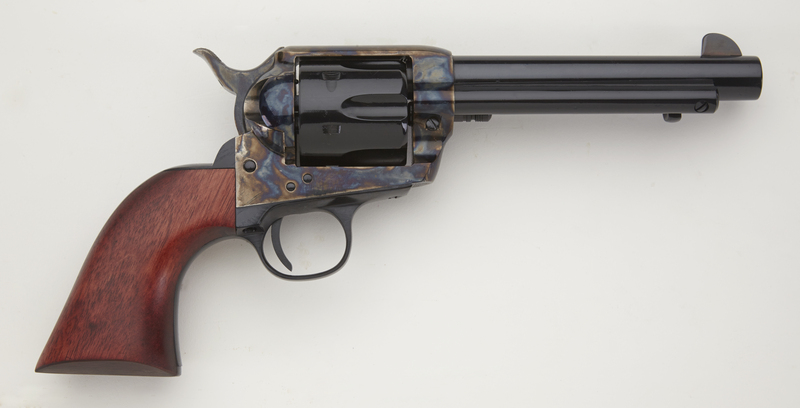 EMF carries a full line of 1873 Blank Firing Revolvers. 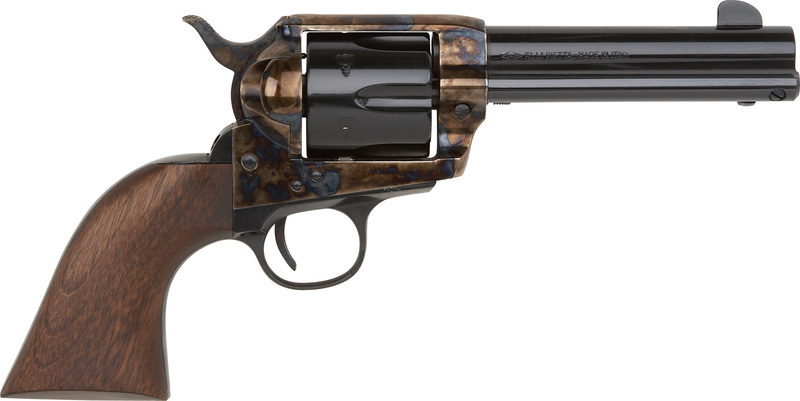 These fine reproductions of the western six-shooter are available in .380 calibers. Features include a functioning loading gate in which to place six cartridges in the chambers as you rotate the cylinder, a working shell ejector, and either wood or plastic grips. California & Kansas Imitation Firearms, regardless of date, may only be shipped in conjunction with a frame or presentation box; or solely for export in interstate or foreign commerce; or solely for lawful use in theatrical productions; or for use in certified sporting events or competitions; or for use in military or civil defense or ceremonial activities; or for public display authorized by public or private schools. Connecticut, Massachusetts,Wisconsin & Minnesota: All replicas of antique firearms (pre-1898) are allowed. We will not ship replicas of modern firearms (post-1898) to these states. We ship all other catalog items to customers in these jurisdictions. New York State & Puerto Rico: Replicas of antique firearms (pre-1898) are allowed excluding New York City (all 5 Boroughs). We will only ship replicas of modern firearms (post-1898) to theatrical, military, police or other government accounts with valid proof of account identity. A copy of a valid purchase order will suffice. New York City: All firearm replicas are restricted, including toy cap guns, unless the toy gun is brightly colored, or translucent. 1873 BLANK FIRING REVOLVER .380 4 3/4"
1873 BLANK FIRING REVOLVER .380 5 1/2"